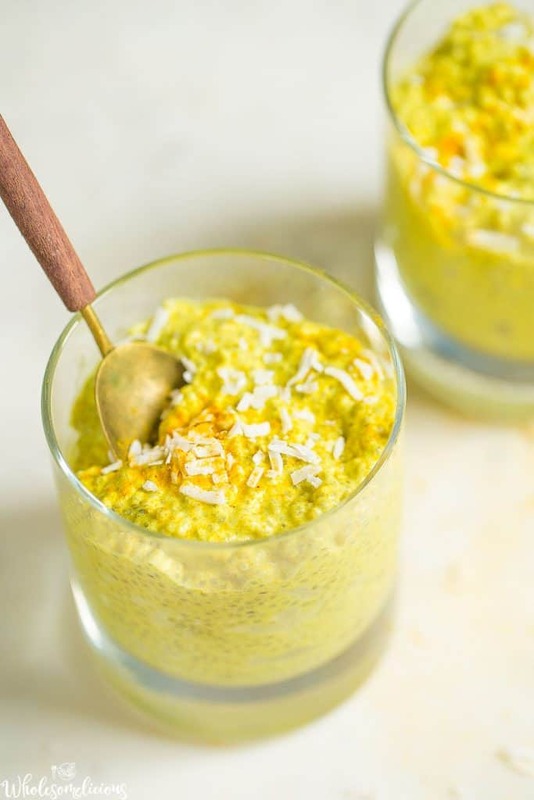 Golden Milk Chia Pudding is such a refreshing treat, dessert, or even breakfast that is packed with nutrients! 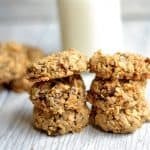 You’ll love how simple this recipe is to make with only a few ingredients. 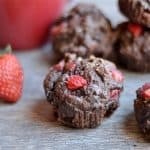 Vegan, Paleo, and refined sugar free! We’re all going on board the Golden Milk train. Are you a fan of all the buzz behind the “golden milk” flavors? If not, let’s introduce you to this newest food trend. It’s totally worth all the hype! This past winter and fall, I became totally hooked on my golden milk latte drink in the evenings after dinner. Warm, comforting, deliciously spiced, and I swear it has magical powers to calm even the busiest of minds. It became sort of my night time ritual. 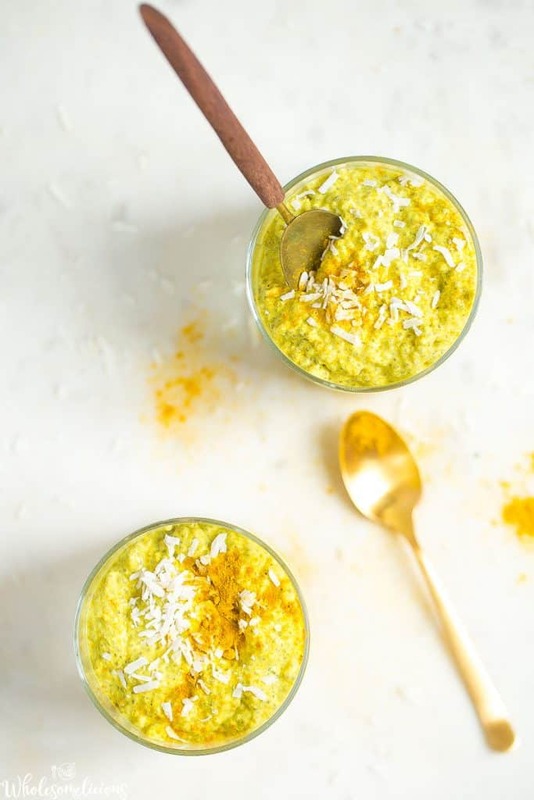 If you aren’t as familiar with this wonder drink, it’s vibrant, slightly spicy, and touted for it’s adaptogens (immune boosting/stress relieving) and anti-inflammatory effects. The “golden” ingredient actually comes from the Curcumin in turmeric, a powerful phytonutrient known for several health benefits! Also making things spicy and delicious: ginger and cinnamon. So let’s flash forward past fall and winter…….My spring might be the busiest one EVER. My days are packed with writing, developing, cooking, and photographing a ton of recipes for my upcoming cookbook. And every night is spent at the baseball and softball fields coaching both my son and daughter’s team. This mama is tired, and I’ll admit, slightly stressed. As much as I want (and NEED) to drink my delicious golden milk warm latte every night to wind down, the spring time warm weather is telling me otherwise. 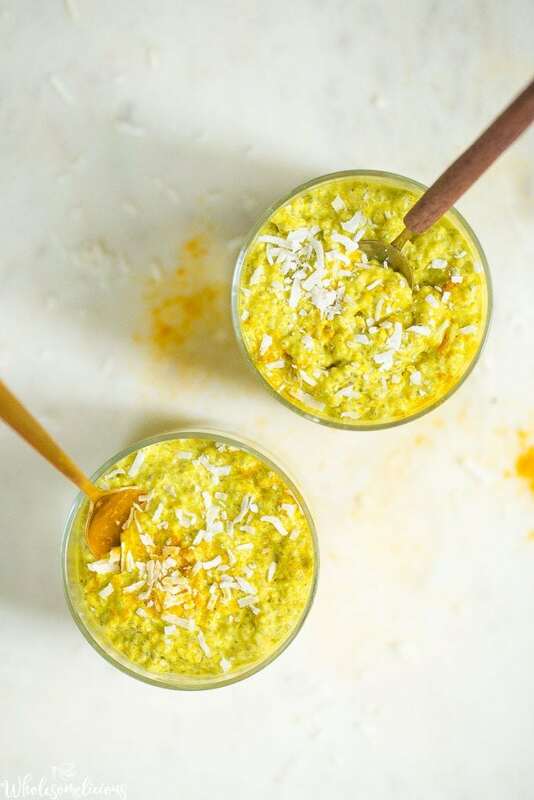 Insert: Golden Milk Chia Pudding! 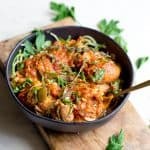 I love that this recipe comes together so quickly, and is just as delicious as a bowl of ice cream! 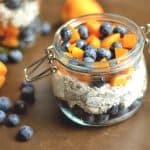 The chia seeds add in a boost of Omega 3’s, fiber, and some protein. 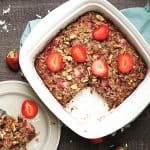 Making this little gem a perfect afternoon pick-me-up or even breakfast. 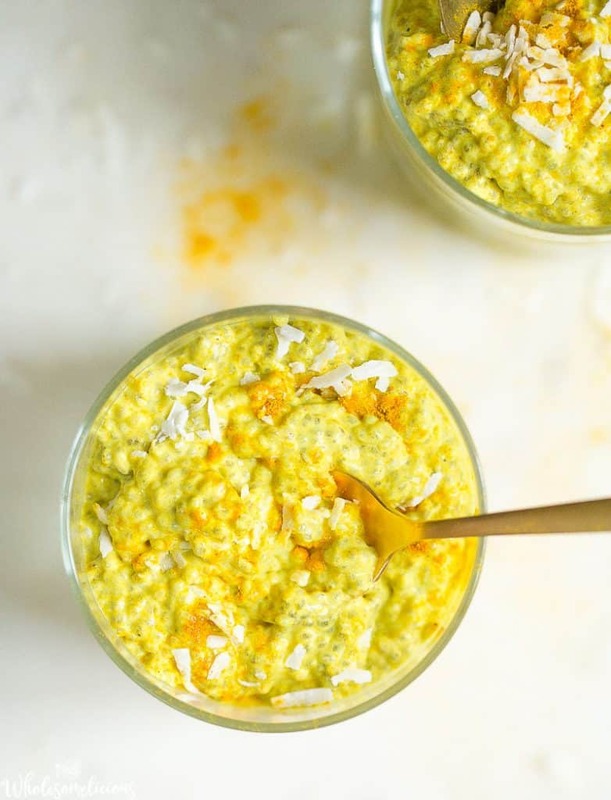 In a medium sized bowl, whisk together coconut milk, dairy-free milk, chia seeds, maple syrup, cinnamon, turmeric, ground ginger, and black pepper (if using). Place in the fridge, and let sit for at least 2 hours, or overnight. Pudding will be thick when ready. Serve as is, or for a more smooth pudding, place in blender and pulse. Top with unsweetened shredded coconut to serve. *Use an almond milk, flax milk, cashew milk, or milk of choice. 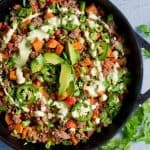 You may want to stir in more if using the blender method above. 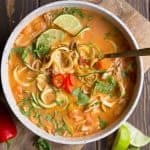 what can you substitute for the canned coconut milk? Hi Kelly, you can use any dairy free milk in it’s place. About 3 – 4 days.